You’ve just left your dentist’s office. It was a great visit – no cavities, gums are in good shape, your teeth feel squeaky clean, and they look whiter than they have in months. Before pulling out of the parking lot and heading back to your office on Main Street, you take one more peak in the car mirror to admire your pearly whites. What can you do to make sure your teeth stay in tip top shape so your next visit with Dr. Schumacher is just as great as this one? 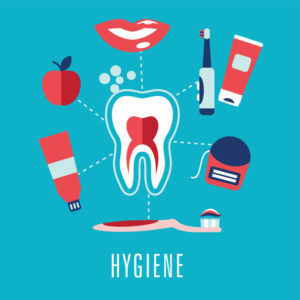 Take a look at the top 10 list below for the best tips on oral care between dental visits from the best dentist in Lynnfield, MA. Brush properly. While brushing your teeth is a pretty straightforward necessity, a lot of people neglect to brush correctly. Brush gently for 2 minutes. Use a timer or set an alarm on your phone. Switch to an electric toothbrush that is set to brush for 2 minutes and brushes with the gentle pressure you need. Floss! Schumacher emphatically reminds people to floss. Think of your teeth as trees and your gums as soil. No matter how pretty the trees are, if the soil is bad, the trees will die. Or, in this case, possibly fall out. Floss gently – don’t snap it into your gums (ouch!). Floss in a c-shape, making sure to curve the floss against both sides of each tooth. Regardless of what commercials say, using mouthwash is not a suitable substitute for flossing. Replace your toothbrush often enough. The rule of thumb used to be every six months, but this is no longer accurate. Replace toothbrushes every 1-3 months. Choose a toothbrush that has colored bristles to remind you when it’s time to switch. Use quality toothpaste. Using a toothpaste that’s cheap may help your wallet in the short-term, but will actually end up costing you over the long-run. Look for Stannous Fluoride as the active ingredient of choice. It’s antibacterial, and can help with gum disease and gingivitis. For sensitive teeth, try reputable brands of sensitivity-focused toothpaste. Clean your tongue, too. Remember, the mouth has a lot of working parts and they all need the same amount of care and attention. Use a toothbrush that has a tongue-cleaner on the back side of it. Enhance brushing your tongue with a gentle mouthwash or enzyme-based tongue foam. Stop smoking and avoid tobacco. Smoking and using tobacco products can cause oral cancer and periodontal disease. Let’s prevent what’s preventable. If you’re a smoker or you chew tobacco – stop! Don’t use hard candy to mask bad breath from cigarettes. Instead, switch to sugar free gum with xylitol, which can help reduce cavities. Limit sweets (including liquid sweets) and processed carbs. We all know sweets can cause tooth decay, but white and processed carbs immediately break down in the mouth causing the same issue. Try treats like veggies and hummus, cheese, or sunflower seeds and pepitas, rather than the usual sweets, chips, or popcorn. Eliminate soda – it leaches calcium from your bones, including teeth. Reduce coffee, tea, and alcohol intake – these can stain teeth. Eat calcium rich foods. Dairy is an excellent source of calcium that can increase and maintain bone density. Your teeth are bones, after all. Say cheese! Cheese may prevent cavities by making your saliva more alkaline. Lactose intolerant? Try goat milk products or use lactose free options for dairy products. Leafy greens contain lots of calcium! Spinach, kale, Swiss chard, and arugula are excellent options, especially for vegans. Straighten Your Teeth. Since crowded or rotated teeth can be hard to clean and floss and lead to periodontal disease, having straight teeth is no longer just about movie-star looks. Want fast results? Invisalign might be the perfect solution. Porcelain veneers also address crooked, crowded, and rotated teeth. Most importantly, always visit your dentist at least every six months. Been a while since your last appointment? Schumacher Dental, the superior family dentist in Lynnfield MA, is now accepting new patients of all ages. From kiddos to Grandma and Grandpa and everyone in between, Dr. Rob Schumacher and his team are the right choice for you and your entire family. Schedule your appointment today!